Dearest, I feel certain I am going mad again….And I shan’t recover this time…..I am doing what seems the best thing to do….I can’t fight any longer….Everything has gone from me but the certainty of your goodness. I can’t go on spoiling your life any longer….I don’t think two people could have been happier than we have been. 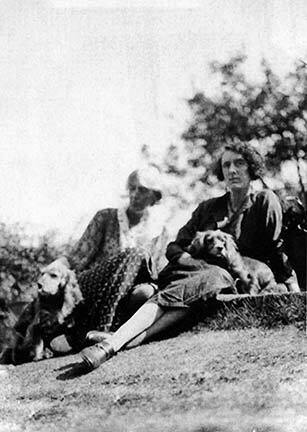 V.
Through letters and diaries Virginia Woolf showed us bits and pieces of her complicated and stressful mental life. But she also told us about experiences of great happiness, love and joy. Darkness and light are both strong forces in her work, the interplay between the two gives her writing an unsurpassed depth and strength. Today is a sad day, I really wish she could have known how much she has come to mean for so many of us! Poignant, Sigrun, and as you say. the depth and strength of her writing remains unsurpassed. I did not remember today so I thank you for the reminder. Sigrun, i didn’t know that today was the day. Funny, i mentioned her in a post today concerning grief and language…Then again, she thought so very much and wrote so much of what she thought. With all of her searching, no wonder we find ourselves, and find ourselves, back in her books for all kinds of reasons. Thank you for the commemoration. It is so sad that she was not able to overcome her depression in spite of being able to mean so much to so many. By the way – do you know this blog? Thank you all for kind comments! I believe that it was in part Woolf’s inner life of struggle that gave her work its unique quality. Had she lived today she could have had better treatment. I still think she would have written wonderful stuff. A mental breakdown is a terrible experience – its so sad she had to give in! I just read your post on the death of Virginia Woolf. It was a tragic event. I hope it ended her suffering.